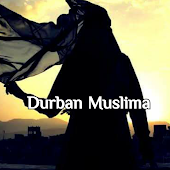 Durban Muslima: Chicken stir fry. 500g chicken fillet strips,marinate in 1tsp freshly ground ginger, 1tsp freshly ground garlic sesame seeds,3tsp honey and thick soya sauce.. Stir fry this till done in coconut oil. Now cut off all corn from a fresh corn cob, slice some green beans, and carrots, slice 1green chillie and 1 jelapino add some sesame seeds and stir fry in coconut oil. Soak some egg noodles in boiling water, when soft drain and bring everything together. Garnish with fresh coriander and spring onions.